Sea, Sand & Sky: Activities Galore! Recently, I have participated in some "site hopping," if you will. Though only three and a half short weeks of our programs have passed, I have had the opportunity to visit four of Save the Harbor Save the Bays' sites. 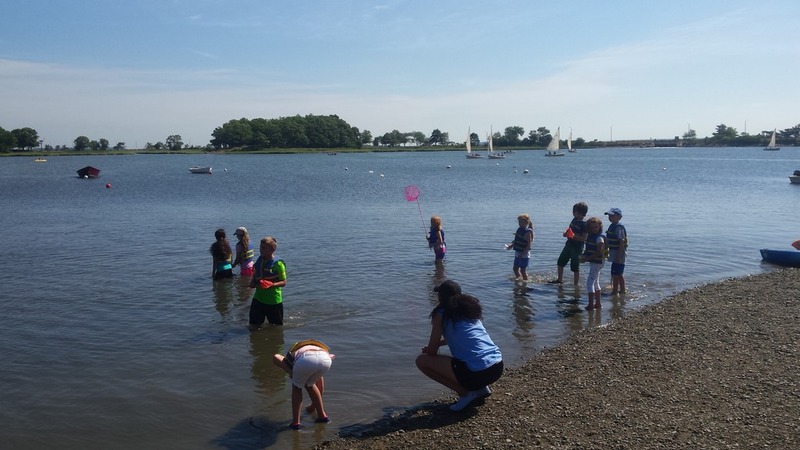 Those include Blacks Creek, Carson Beach, Courageous Sailing, and the Boston Children's Museum. What makes these programs so great is the wide variety of activities that take place at each one. 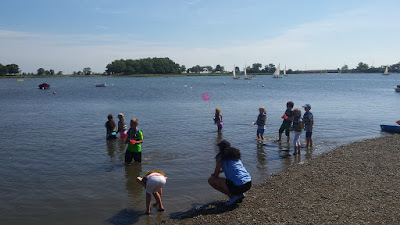 At Blacks Creek, the crowd pleaser is the part of the day where the kids get to wade through the water with dip nets and catch crabs, hermit crabs, and small fish. I believe that this is the core reason so many kids come back to this program day after day, and year after year. There are not many places in which you could wade through an estuary while successfully catching fish as a five year old! But luckily, Blacks Creek is one of those places. At Carson Beach, one of my favorite activities (which also happens to be my all time favorite sport) is soccer. 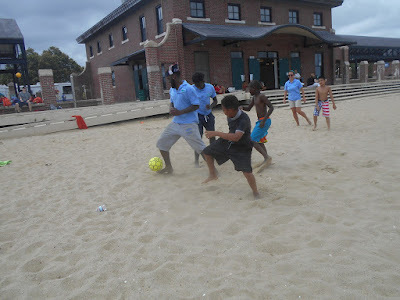 Soccer truly is the world's game, and successfully brings together kids of all ages and backgrounds (like me, a 22 year old from Alabama, and a couple of brothers from Cape Verde). At Courageous Sailing, the attention is usually centered around the crab/lobster traps. 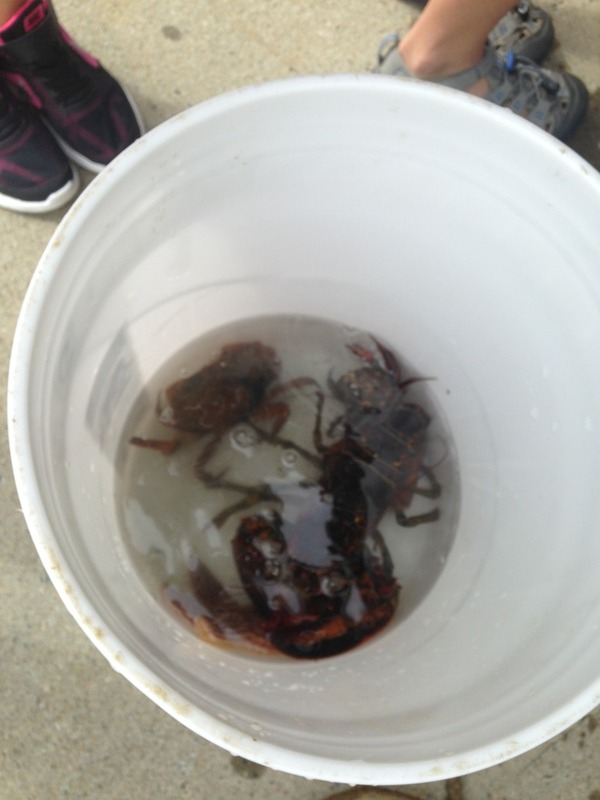 This is where the kids can be exposed to many different sea stars, fish, and of course, crabs and lobsters. 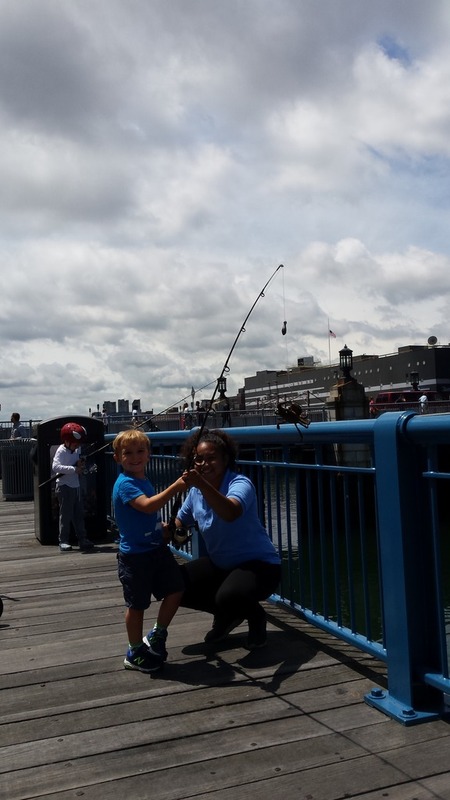 It serves as a great vessel to teach kids about the many different inhabitants within the Boston Harbor. At the Children's Museum, many kids get the chance to fish or touch/hold a crab for the first time ever. Many of them start the encounter full of fear for what looks like a giant spider. But most of them, through a little encouragement, wind up touching or even holding a crab, and walking away all the happier because of it. 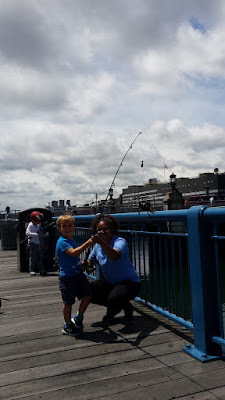 These experiences are just a few of the many ways that kids can make memories on and around the Boston Harbor, and hopefully keep and share those memories for a lifetime.